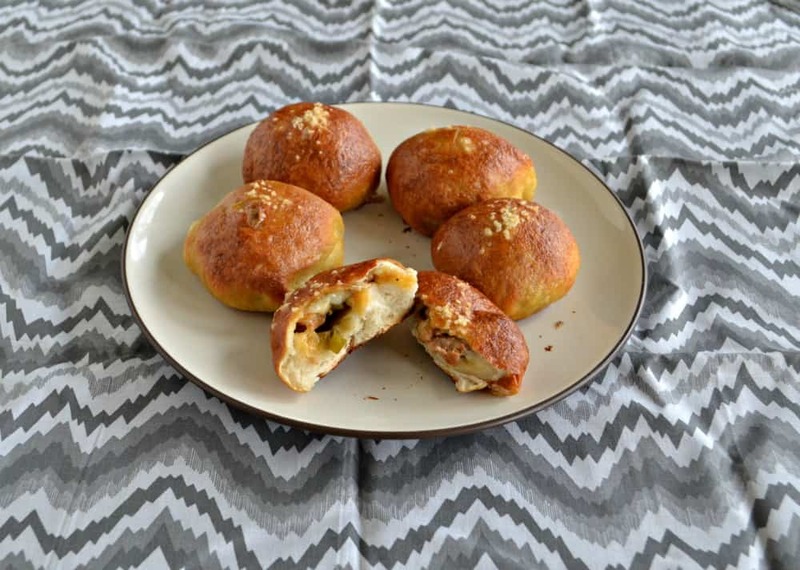 A few months ago I made these delicious Jalapeno Cheddar Stuffed Pretzel Rolls. 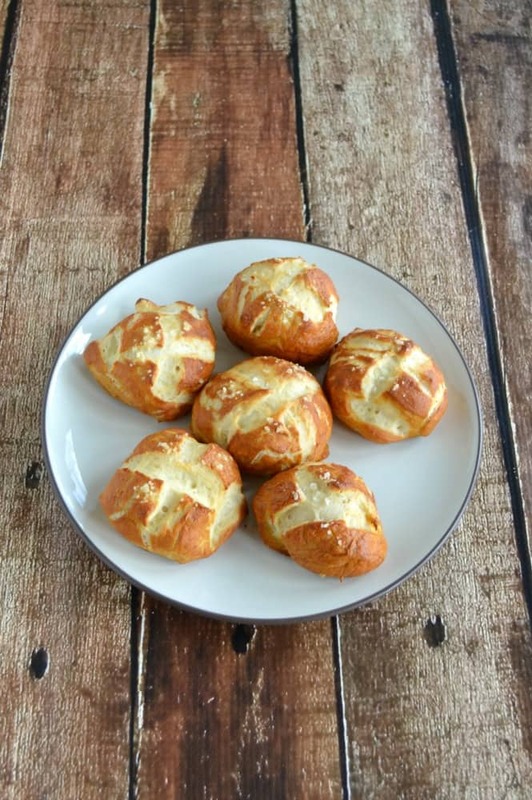 They were basically a pretzel dough stuffed with jalapenos and cheddar and they were delicious. Ever since we had them my husband and I have been talking about making a version that was a little more substantial and could actual be eaten for lunch. My idea was to stuff the pretzel with cheddar cheese and some type of meat. I wasn’t sure what type of meat so that was the main issue. 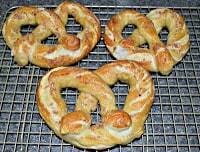 I thought about chicken or ground beef but neither one of those seemed to go well with a pretzel. After looking in the freezer I found a package of chorizo sausage. Knowing that the spicy jalapenos tasted awesome in the pretzel rolls I figured spicy sausage would too. So I made the pretzel rolls the same way as last time and then I stuffed them with spicy chorizo sausage and cheddar cheese. I cooked them up and by the time I took them out of the oven I was practically drooling. The smell of cheese, sausage, and pretzel was so good. I cut a bun in half just to see how they look and bits of the sausage and cheese oozed out of the buns. My first bite was delicious. Soft pretzel bun with gooey cheddar cheese and spicy sausage. Now this was a pretzel bun hearty enough to eat as a meal. 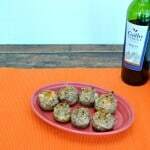 It was also pretty tasty dipped in spicy mustard or cheese sauce and served as an appetizer. 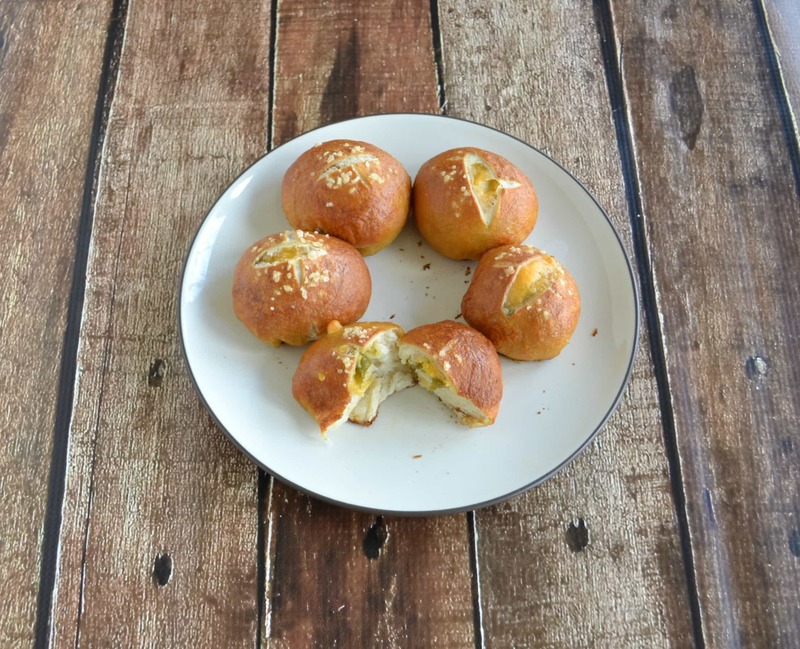 Pretzel Rolls are golden brown and crunchy on the outside, soft and fluffy on the inside and bursting with spicy chorizo and cheddar cheese. Place the milk and butter in a microwave safe bowl. Heat for 1 minute or until just warm. Pour the milk mixture into a large bowl along with the brown sugar and yeast. Mix well. Add in the salt and 3 cups of flour and mix well. Turn the dough onto a flour dusted surface and knead for 5-7 minutes, working in an addition ¼ cup-1 cup of flour. Spray a large bowl with cooking spray. 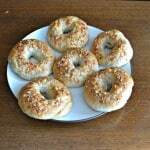 Place the dough in the bowl and turn once, coating with oil. 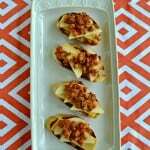 Cover with a dish towel and allow to rise for 1½ hours or until doubled. Preheat the oven to 400 degrees. Spray two baking sheets with cooking spray. Turn the dough onto a cutting board and cut into 18 equal pieces. Gently press each piece flat. 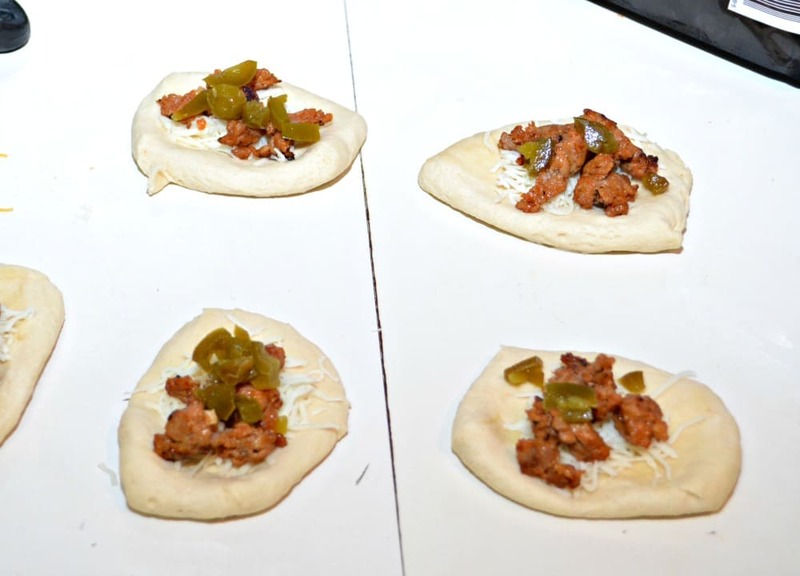 Place a teaspoon of chorizo and a sprinkle of cheese in the middle of each dough. Pinch the edges together and pull into a ball shape. In a large pot bring water and baking soda to a boil. Add the dough balls 5 at a time, boiling for 1 minute. Remove from the pot and place on prepared baking sheets. Carefully slice a small x shape on top of each roll, making sure not to cut to deep. In a small bowl beat the egg along with 1 tablespoon of water. Brush the tops of each with the egg wash and sprinkle with sea salt. Bake for 15-20 minutes or until the rolls are golden brown. Remove from oven and serve warm.